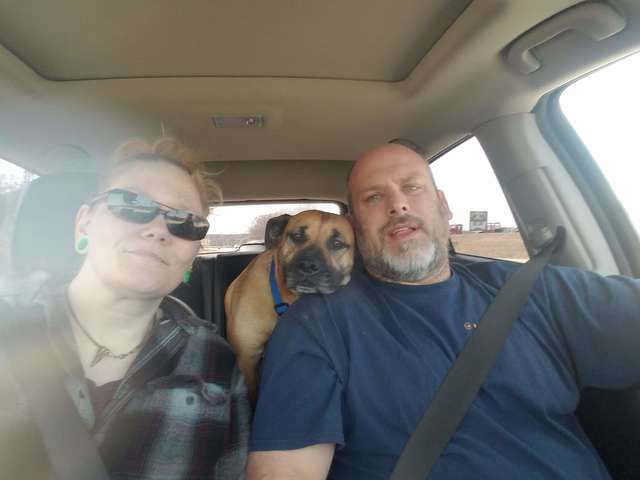 In March 2019, a man named Bill Shaver was driving home to Missouri after a fishing trip. He decided to pull into a rest stop to use the bathroom. Since he would only be gone for a minute, he left his car running and his car door open. 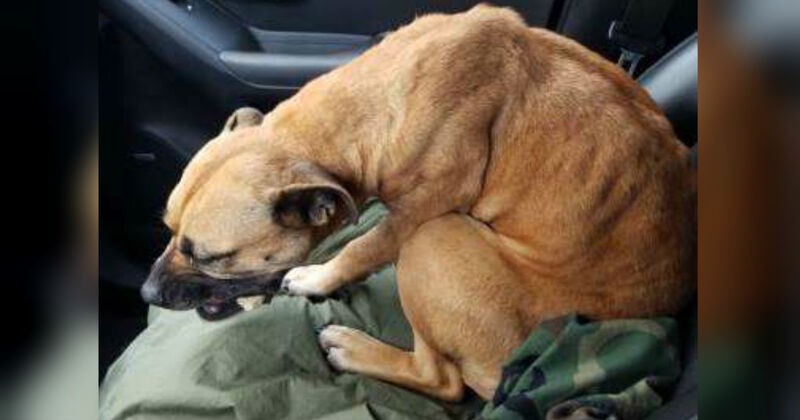 Little did Bill know, his decision to leave the car door open would change a stray dog’s life! 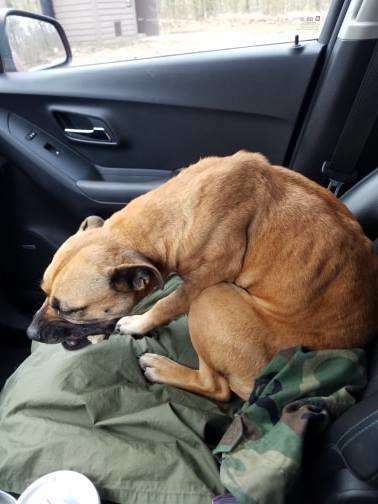 While Bill was in the bathroom, a malnourished stray dog named River wandered up to the car. River saw the open door, and she decided to hop into the passenger seat. Then, River curled up and closed her eyes. A minute later, Bill walked back to his car. He did a double-take when he saw there was someone in there. 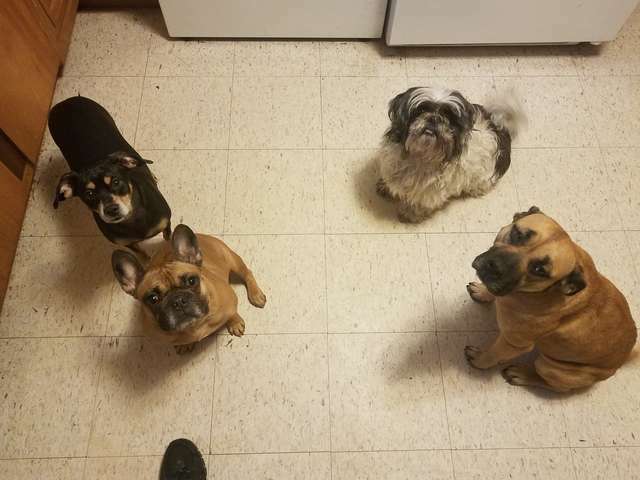 Luckily, Bill was a dog lover—he had three rescue dogs at home. River clearly needed something to eat, but all Bill had was a Rice Krispy treat. He gave it to her and she gratefully gobbled it up. As Bill watched River eat, he fell in love with her. 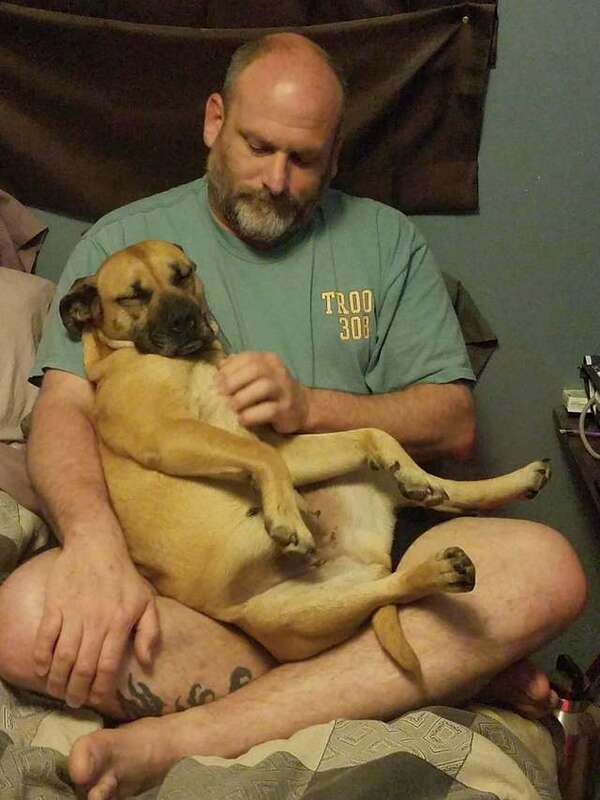 He sent his wife Angela a picture of the dog and asked if he could bring her home. Angela quickly said yes. Bill continued his drive home, and River napped in the passenger seat. When he got home, Angela and Bill’s son came out to greet the pup. But River refused to leave the car—she felt safe there. Once it became clear that River wasn’t going to leave the car on her own, Bill carried her into the backyard. She sniffed around, and she quickly got comfortable in her new yard—soon, she liked it just as much as the car! Bill and Angela introduced River to all her new dog siblings one-by-one, and they were happy to see that River got along with everyone. Once all the introductions were over, Bill brought River inside and gave her a bath. The poor dog was covered in ticks, and she had some blood on her face and neck. Bill made her an appointment at the vet the next day to get the cuts checked out. “After she was dried off and some ticks picked off, she got a good meal. Bill made her a bed on the floor in our room next to the space heater. She slept there all night,” Angela said. 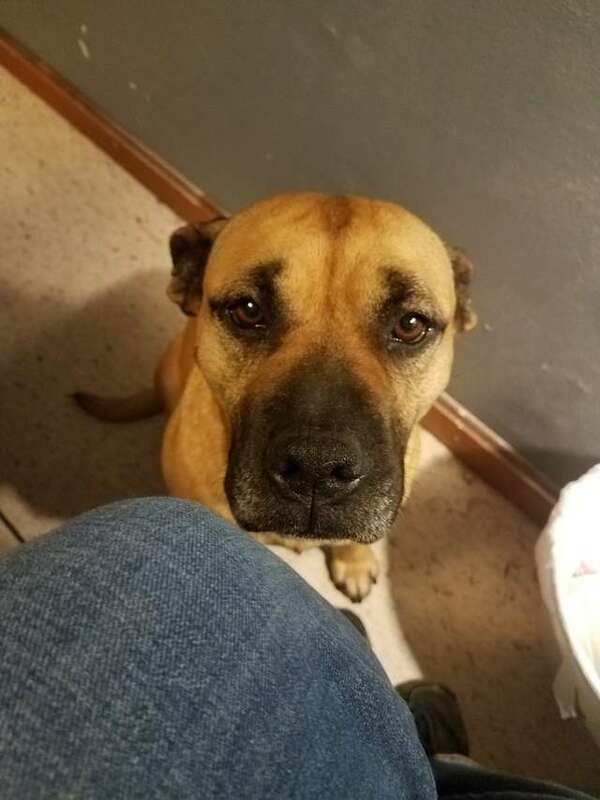 At the vet’s office, Bill and Angela learned that poor River had a few different health problems, including tapeworms, heartworms, and wounds on her neck from fighting. Thankfully, the vet was able to give River medicine, and she was soon healthy as could be! River also started getting more and more comfortable in her new house. She and her siblings loved playing together, and she also enjoyed spending time with her parents. 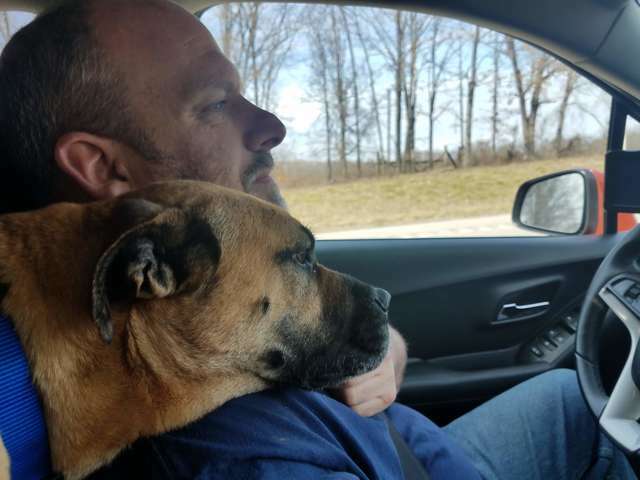 When River hopped into Bill’s car, she could have never guessed that it would lead to her getting a great set of parents and lots of dog siblings. We’re so glad River is doing so well in her new life!